It was thought that it couldn’t be done—bringing together an extraordinarily spacious carrier, cutting-edge contemporary conveniences, and an incredibly handsome collection of sophisticated tailoring. This pack is no longer something to be imagined, it actually exists. Our remarkable CableReady system that lets you charge on-the-go with cords out of sight is an incredible tech innovation that sets STM apart from other bags. So, how did we top that? By adding an inventive AirPod pocket and ingenious earbud keeper. Our PassPort luggage pass-through securely and easily connects your pack or brief to other baggage items. It’s also integrated with the lumbar support of the back panel. Your everyday responsibilities are enough to carry around. So, we designed our air channel back-panel-and-yoke system to wrap around you and provide improved weight distribution. In other words: maximum comfort. Experience our gear in an incredible, never-before-seen way. 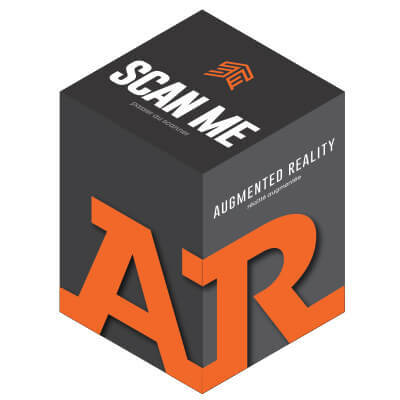 Integrated Augmented Reality technology including interactive 3D graphics, animations and video immerses you in an experience that goes far beyond typical 2D on-screen experiences.